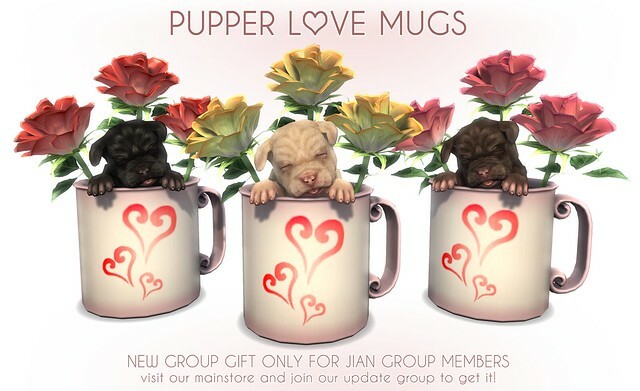 NEW Group Gift @ JIAN :: Pupper Love Mugs! Those are doggos and... YOU! For National Dog Appreciation Day, we offer you these new Pupper Love Mugs that texture change both coat and rose color. All you have to do is be a member of our in-world update group and click to get yours - simple! 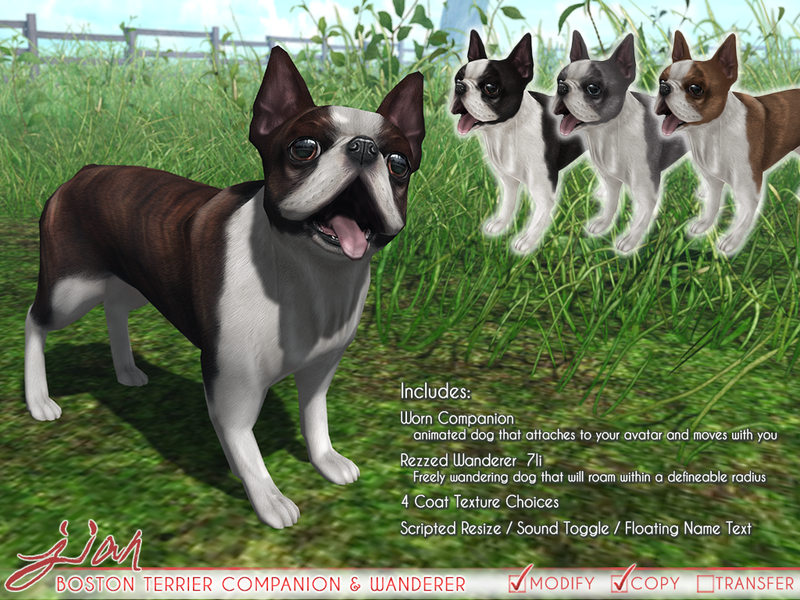 Boston Terrier Companion & Wanderer and Hot Dog Thief @ Uber! Available NOW at this month's round of Uber! Click the post title or below to "Read more" and get the details! 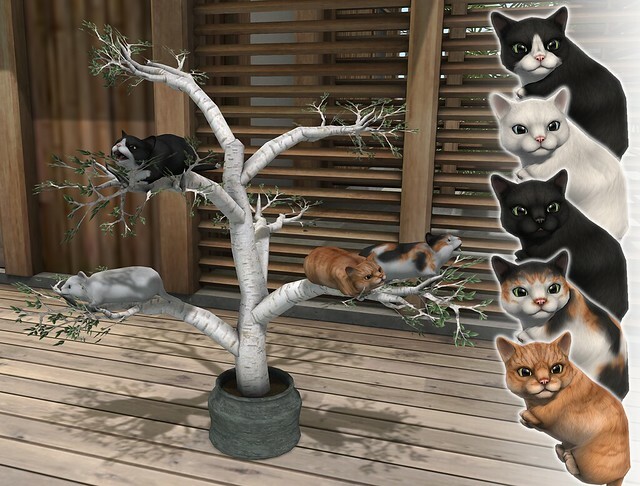 Chubby Cat Loaf Tree / Helds for FLF! In our mainstore all weekend for Fifty Linden Friday! Click post title or "Read more" for the details! Lab Pupper Baskets for The Saturday Sale! It's Pupper Saturday at JIAN for our first time participating in The Saturday Sale! Click to read more for more information and individual previews. 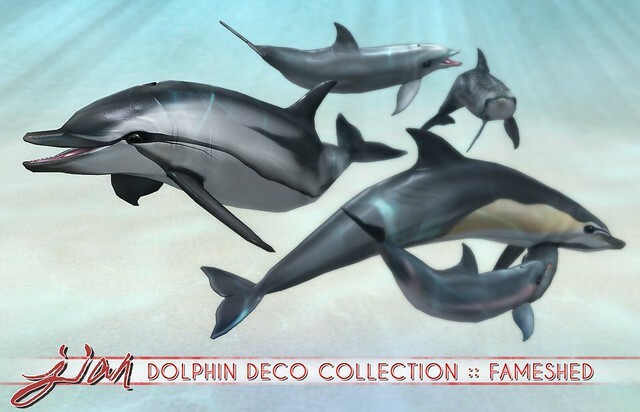 Dolphin Deco Collection @ FaMESHed!